To catch wrestling fans around the globe, Billy Robinson was one of the wrestling Gods, sitting alongside Karl Gotch. A professional wrestler, Billy Robinson hailed from Manchester and honed his catch-as-catch-can skills at the famous Snake Pit gym in Wigan, Lancashire, run by Billy Riley. Having been born in Wigan and being bred in the Wigan borough, catch wrestling piqued my interest especially as hardly anyone who doesn’t already know about or train in the wrestling style actually has no idea it even exists. 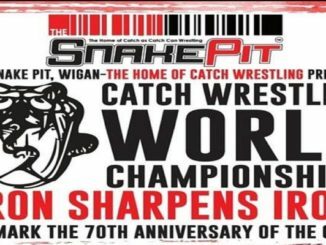 I recall speaking to several Wiganers recently about this respected style of wrestling and they genuinely had no idea it was even a thing yet thousands of miles away in Japan and America, catch wrestlers and fans of the sport are fully aware of Wigan and its catch-as-catch-can history. 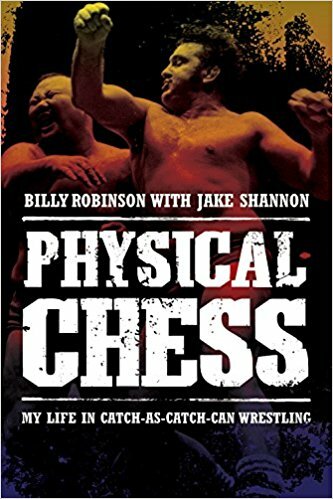 Having scouted out Wigan library looking to see if there was any books that may cover catch wrestling (there isn’t), I was delighted to come across Billy Robinson’s autobiographical book, Physical Chess: My Life in Catch-As-Catch-Can Wrestling. With a forward by Jake Shannon of Scientific Wrestling, a good friend and student of Billy’s, I couldn’t wait to get my hands on it and I’m pleased to say it didn’t disappoint! In Physical Chess, Billy Robinson recounts his upbringing in Greater Manchester from his birth in 1938. He discusses what life was like growing up during and post World War II, a war in which his two elder siblings fatally succumbed to bomb attacks. He talks about his fighting family and how he originally had taken up boxing to follow in his father and grandfather’s footsteps. An eye injury soon put a stop to those dreams which is how Billy found catch wrestling. Reading about Billy’s time at Riley’s Gym in Wigan is absolutely fascinating. He talks about how the experienced, older wrestlers at Riley’s would smash him time and time again as a 15 year old youngster in order to see if he was determined and worthy of being taught the effective catch style. The likes of Bob Robinson (Billy Joyce), the Carroll Brothers, Tommy Moore and others would be his training partners and Billy comments on how he had recurring nightmares of Billy Riley instructing him to “do it again” in order to get the techniques right. In the book, Billy gives an insightful look into his competitive life in catch wrestling as well as how his own uncle had been pivotal in bringing Belgium Olympic wrestler Karl Gotch to train at Riley’s gym. Both Gotch and Robinson went on to make a name for themselves globally, particularly in Japan and America where they wrestled professionally and coached others in the catch style. 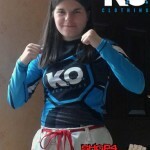 Billy Robinson is known for having coached “Gracie Hunter” Kazushi Sakuraba. Billy’s detailed accounts of his various wrestling matches and experiences, be it at Riley’s gym, coaching the Japanese or wrestling with his peers, are a delight to digest and really deliver a wholesome picture of what life was like as a successful, skilled catch wrestler. It’s thanks to Billy, Karl and others of their generation that the catch-as-catch-can style, that is so very much responsible for modern wrestling and grappling, has managed to survive with Robinson teaching and passing on his knowledge right up to his death in 2014. This book is another element of preserving the catch history. For anyone with an interest in wrestling, not just catch wrestling, Physical Chess is an absolute must-read. With black & white photos of Billy Robinson and friends accompanying the stories of Billy’s life, you can’t help but feel like you’ve sat down with the man himself and had him tell you his story personally. This is one book any wrestling fan should have in their collection.